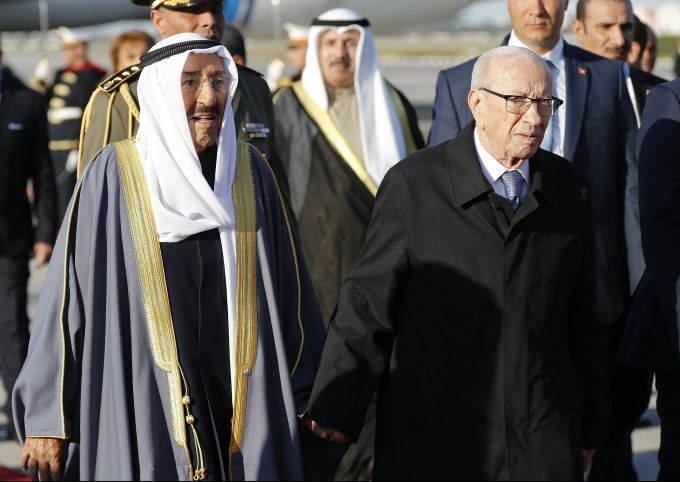 Tunis : Kuwait's Emir Sheikh Sabah Al-Ahmad Al- Jaber Al-Sabah, left, walks next of Tunisian President Beji Caid Essebsi, right, upon his arrival at Tunis-Carthage international airport to attend the Arab Summit, in Tunis, Tunisia, Saturday, March 30, 2019. Gaza : Protesters run to cover from teargas fired by Israeli troops near fence of Gaza Strip border with Israel, marking first anniversary of Gaza border protests east of Gaza City, Saturday, March 30, 2019. 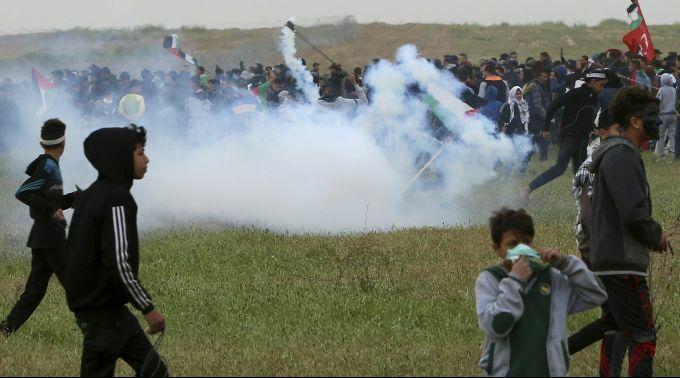 Tens of thousands of Palestinians on Saturday gathered at rallying points near the Israeli border to mark the first anniversary of weekly protests in the Gaza Strip, as Israeli troops fired tear gas and opened fire at small crowds of activists who approached the border fence. 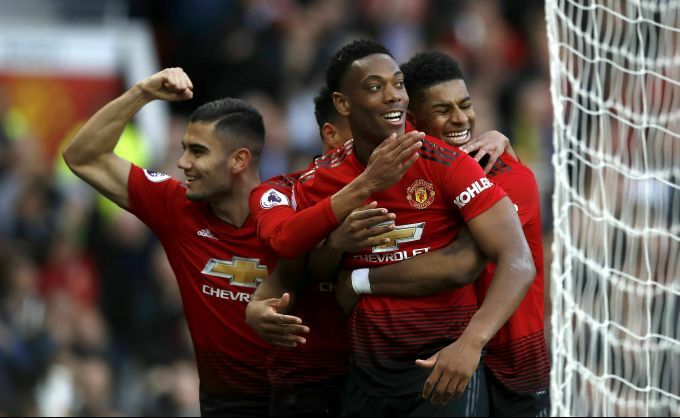 Manchester : Manchester United's Anthony Martial, centre, celebrates scoring his side's second goal of the game with teammates, during the English Premier League soccer match between Manchester United and Watford, at Old Trafford, in Manchester, England, Saturday March 30, 2019. 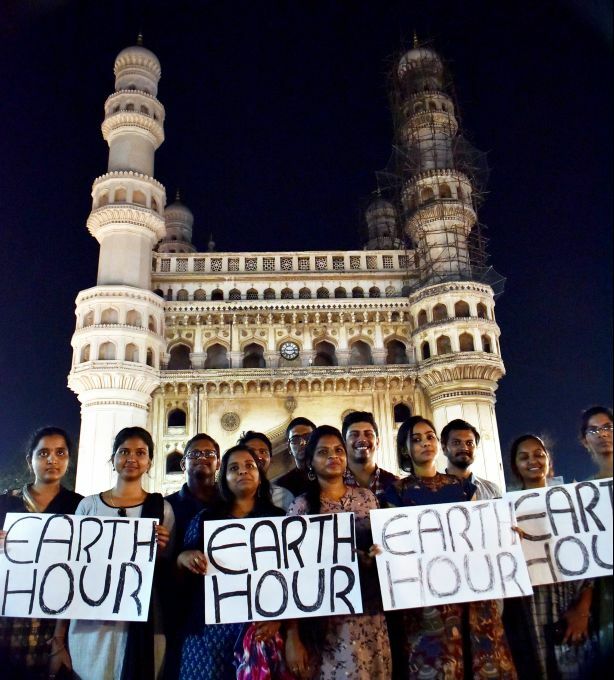 Hyderabad: People participate during Earth Hour 2019 by holding placards in the backdrop of historic Charminar in the old city of Hyderabad, Saturday, March 30, 2019. Millions will unite across the world to celebrate WWF’s Earth Hour and take a stand against biodiversity loss. 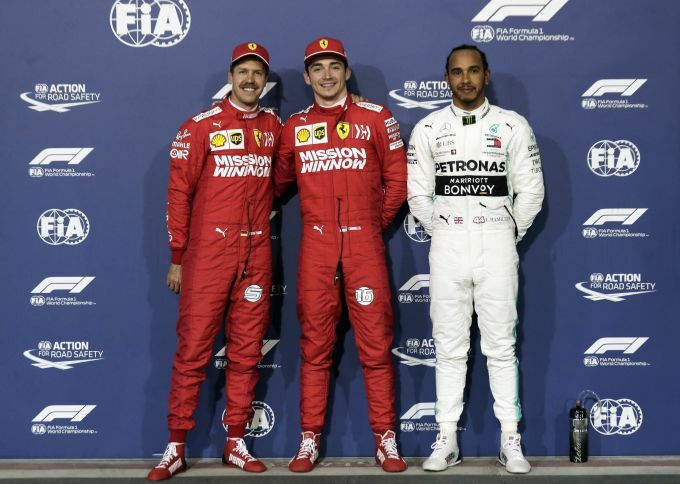 Sakhir : Ferrari driver Charles Leclerq of Monaco, center, Ferrari driver Sebastian Vettel of Germany, left, and Mercedes driver Lewis Hamilton of Britain stand on the podium after the qualifying session at the Formula One Bahrain International Circuit in Sakhir, Bahrain, Saturday, March 30, 2019. The Bahrain Formula One Grand Prix will take place on Sunday with Ferrari driver Charles Leclerq of Monaco taking his first ever pole position. 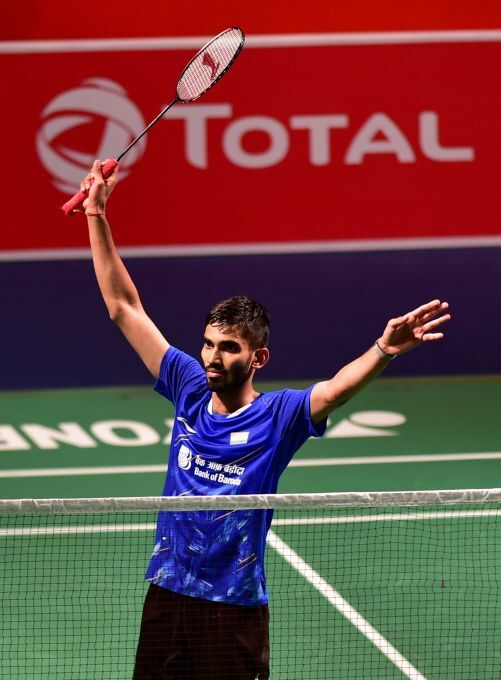 New Delhi: India's badminton player Srikanth Kidambi celebrates after beating Chinese badminton player Huang Yuxiang to enter final round badminton match at the Yonex-Sunrise India Open 2019 in New Delhi, Saturday, March 30, 2019.